Janardan Kesri, insurance adviser, associated with private company, said, for this you have up to 2 years after leaving the policy premium. 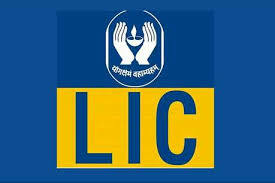 According to the rules, anyone can revive their closed LIC policy for 2 years of quitting the premium. This period was 5 years before 2010, but since 2010, the period has now been reduced to 2 years. That is, after the completion of 2 years of leaving the policy premium, the policy will not be completely revoked and will be completely closed. After that you will have to take another policy. After 2 years, if you wish, you can claim your money or you can wait for the maturity period to be completed. To revive your LIC policy, you must first pay the outstanding premium. After this, LIC also charges interest of 9.5 per cent per annum. In addition to interest payments, the necessary health related formalities have to be completed. Information about this can be taken from https://www.licindia.in/Customer-Services/Policy-Guidelines?lang=en-US. This site is very useful for current news in public interest. Thanks a lot to information regarding current affairs.